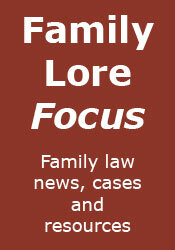 Family Lore: Is Collaborative Divorce a Wolf in Sheep's Clothing? Not sure on this article. My only comment is that I have seen both the strategies mentioned used in practice and they are a real drag and bring the profession into disrepute.